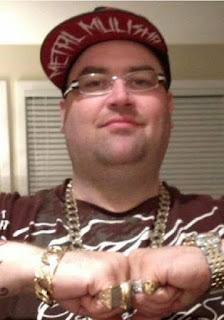 Kamloops gangster Jason Robertson, 41, has lost his appeal and will serve an 18-month jail sentence. Robertson was sentenced last year after a judge found him guilty on five weapons and property-related offences, as well as one count of identity theft. The offenses occurred five years ago and after a series of residential raids led to a raft of charges against him. 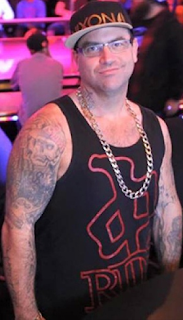 In May 2014, police raided three homes owned by Robertson. 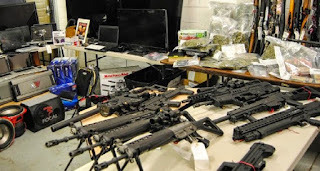 Following the raids, Mounties displayed dozens of firearms and electronics, as well as cash and drugs. Investigators said at the time the operation was gang-related and Hells Angels support decals were visible on some of the seized items.